In a care or hospital environment, it's vital that you can provide effective reduction of pressure to patients at risk of sores and ulcers. The Carefree Premier Pressure Relief Mattress is ideal for patients at high risk of pressure ulcers, reducing pressure and improving comfort. It uses a contoured keyhole cut CMHR foam insert for exceptional pressure relief and a U-shaped base for improved stability and support for patient transfers. 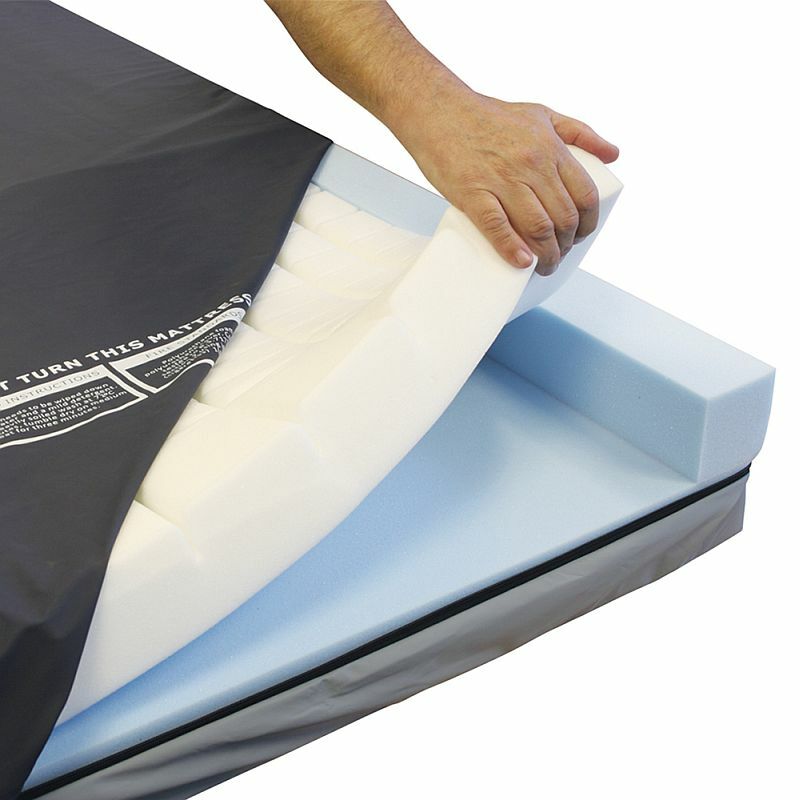 Using a keyhole cut CMHR foam insert, the Carefree Premier Mattress provides a fantastic level of pressure relief that suitable for patients at very high risk of pressure ulcer development. It works to redistribute body weight across the mattress, reducing pressure points to help prevent pressure ulcers forming. As well as reducing the risk of pressure sores, the mattress also works to provide a fantastic level of comfort, helping patients feel more at ease in their bed. To help ensure that the mattress is protected from fluid ingress and damage, it is supplied with a waterproof, vapour-permeable stitched cover. An enclosed zip helps to prevent fluid ingress and reduce the risk of the foam insert becoming contaminated, which is vital for compliance with infection control standards. A two-way stretch design allows the cover to move with the patient, reducing shear and friction to enhance comfort. Alongside the foam insert, the mattress also features a U-shaped base and side walls. 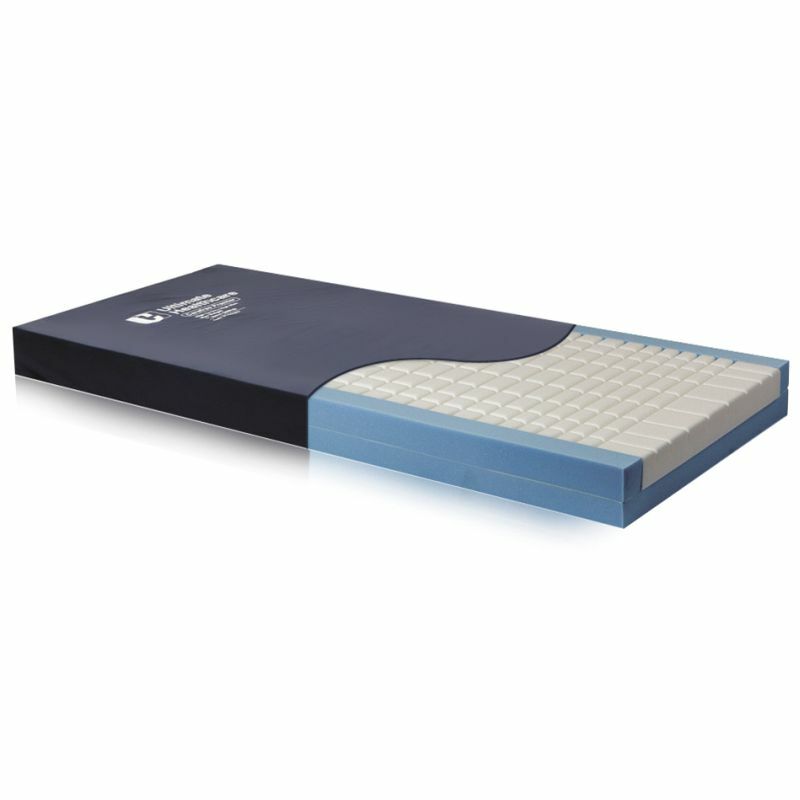 This provides additional stability and support to the mattress, making patient transfers easier for both users and practitioners. Different care environments will require different types of mattresses to suit the patient and carer's lifestyle. To ensure the size of the mattress is suitable, the Carefree Premier Mattress is available in both single and double sizes, ensuring compatibility with your beds. This item is usually delivered in 3 - 5 working days. Occasionally this product is subject to longer delivery times, for more information about stock levels and delivery times please call our Customer Service Team on 020 7501 0592.